Isn’t that cover just delicious? Stunning! 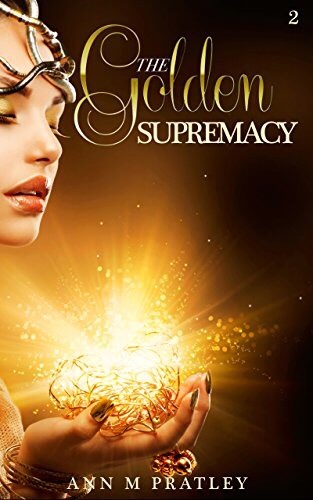 In this second installment of the Golden Desires series, Ms. Pratley delivers another captivating tale. While the first book focused on romance and the mystical, this story focuses more on conflict and intrigue. It is a fast read, at just under 200 pages, but it covers a lot of ground. The narrative is lush, Ms. Pratley’s prose quite befitting of the old-world society she has created. After events in the first book, Isabella and Trent settle into their life as a married couple. Meanwhile Adrian, steadfast in his friendship with Isabella, yearns for someone with whom he can find such happiness. Life is simple and good. Among their friends and fellow villagers, however, a dangerous enemy hides in plain sight. I appreciate that the ending of this book, like its predecessor, is not a nail-biting cliffhanger. Yes, there is still story to be told, but one is able to appreciate the conclusion for what it is: a golden promise. If you’re looking to score your own copy, it’s available in paperback and ebook on Amazon. This sounds like a really interesting series! Thanks for the heads up!